Making strategic decisions about your practice includes weighing the benefits of technology. It’s not only a necessary step, but also an exciting opportunity to provide superior patient care while achieving your own long-term goals. The roadmap to integrating technology is unique to each practice, and the following case studies illustrate the different routes successful practices have taken to achieving a streamlined workflow and patient satisfaction. 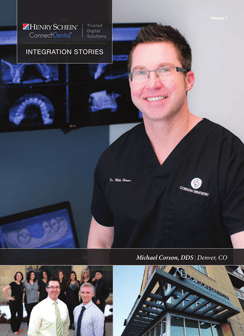 The signage of Corson Dentistry is seen by thousands of commuters who pass it everyday traveling on 1-25 in Denver, Colorado, but what’s really fueling the rapid growth of Dr. Michael Corson’s practice is the synergy he’s created by connecting all of his advanced technology together, allowing patients to receive all of their care under his roof. Investing in dental technology is one thing. Using it to its maximum potential – and motivating your staff to embrace it - is quite another. 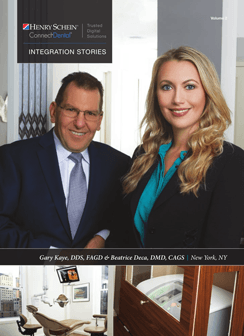 Dr. Gary Kaye of Kaye Dentistry in Manhattan is a premier example of the astounding success one can achieve with advanced technology. He shares how and why he believes in connecting digital imaging, CAD/CAM and practice management into a seamless system and how he uses 100-day plans to make it happen. Who do elite athletes in the Kansas City area trust for their dental care? 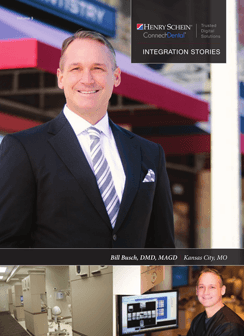 Dr. Bill Busch’s practice, North Kansas City Dental is the official dental provider to the Kansas City Chiefs football team, and the practice is as performance-driven as the patients that come there. The doctor talks about how he implemented his game plan of opening a fully digital, paperless office from day one, and he shares which technologies are the biggest game-changers when it comes to his success. For more information on ConnectDental and technology integration, please contact your Henry Schein representative or click here.